Looking for Outdoor Pools in Georgia? Countless of them belong to gyms or sport centers which also provide lessons. Not all countries would be the same, and swimming regulations and rules are changing from one country to another. Thanks to some new Swimming Pools submitted on a daily basis, Swimia.com is increasing daily the number of stored pools. Please don't hesitate to make contact with us if you get any inaccurate or incomplete info. The most effective pools to swim are certainly indoor olympic pools. Please check the nearest Outdoor Pools in Georgia or Contact us to ADD IT. It's absolutely free! Swimming is a sport for all ages. It assists young persons to tone their muscles and grow healthy and strong. Without a shadow of a doubt, swimming in Columbus will be the finest solution to unwind right after work. 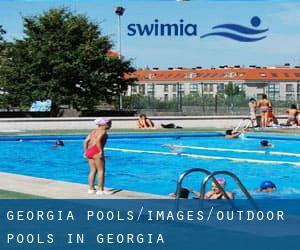 Take a couple of minutes to browse Swimia's catalog to find a Swimming Pool in Columbus. Holding an estimated population of 420.003, Atlanta is one of the most important cities in Georgia. Check all the Swimming Pool in Atlanta and its surrounding region. Let us tell you a secret to switch off although you are in Athens: just choose a Swimming Pool in Athens and plunge into the water! There's no alot more productive process. Whereas Savannah is one of the six most populous cities in Georgia with almost 136.286 residents, you shouldn't miss that one if you're going to Georgia. 2929 Demere Rd. , Saint Simons Island , GA , USA (Postal Code: 31522). Among all the activities supplied by the center, if you are thinking about swimming you can enjoy 53 feet, 3 lanes, Indoor/Outdoor. Just in case you want to contact this Pool prior to dropping by, we only know the phone number. Updated on 2019 2800 Quinbery Drive , Snellville , GA , USA (Postal Code: 30039). This sports center offers 25 meters, 6 lanes, Indoor/Outdoor. 202 Kedron Drive , Peachtree City , GA , USA (Postal Code: 30269). Few days ago a common user of this center told us they offer 25 yards, 8 lanes, Indoor/Outdoor. Furthermore, they keep in good conditions 20 yards, Indoor/Outdoor. For this Swimming Pool, only phone number is number here. Updated on 2019 Mill Creek Regional Park , Statesboro , GA , USA (Postal Code: 30458). This sports center gives 25 yards, Indoor/Outdoor. For this Pool, only phone number is number here. 800 South First Street , Warner Robins , GA , USA (Postal Code: 31099). This sports center offers 25 yards, 8 lanes, Indoor/Outdoor. For this Swimming Pool, only phone number is number here. 700 Marietta Hwy. , Canton , GA , USA (Postal Code: 30114). Among all of the activities offered by the center, when you are considering swimming you will appreciate 20 yards x 30 feet, 2 lanes, Indoor/Outdoor. Just in case you want to get in touch with this Swimming Pool before dropping by, we only know the phone number. 3197 Classic Drive , Snellville , GA , USA (Postal Code: 30078). Among all the activities offered by the center, if you are keen on swimming you will take pleasure in 25 meters, 6 lanes, 3.5f - 12 feet depth, Indoor/Outdoor. Just in case you need to contact this Swimming Pool prior to dropping by, we only know the phone number. 2424 Gornto Rd. , Valdosta , GA , USA (Postal Code: 31602). Among all the activities supplied by the center, if you're interested in swimming you will delight in 25 yards, 4 lanes, Outdoors. Just in case you want to contact this Swimming Pool before dropping by, we only know the phone number. 103 Arnold Mill Rd. (behind the new City Hall) , Woodstock , GA , USA (Postal Code: 30188). Swimmers like you reported Olympic size, 4 lanes + 25 yards, 6 lanes, Indoor/Outdoor. Unfortunately we do not have the email address of this Swimming Pool, but we can provide you with the phone number. Updated on 2019 3045 Clubhouse Drive , EagleWatch Subdivision , Woodstock , GA , USA (Postal Code: 30189). This sports center offers 25 meters x 35 yards, 6 lanes, Indoor/Outdoor. For this Pool, only phone number is number here. Updated on 2019 371 Riverview Dr. , Jekyll Island , GA , USA (Postal Code: 31527). This sports center provides 20 yards, 4 lanes, Outdoors. For this Pool, only phone number is number here. Updated on 2019 SAAC , Clairmount Campus , 1946 Starvine Way , Decatur , GA (Postal Code: 30033). Among all the activities provided by the center, for anyone who is interested in swimming you might enjoy Olympic size x 25 yards, Indoors, Outdoors. Updated on 2019 5595 E. Hedgebrooke Drive , Brookstone I Subdivision , Acworth , GA , USA (Postal Code: 30101). Among all the activities offered by the center, for anyone who is interested in swimming you are going to take pleasure in 25 meters x 35 yards, 6 lanes, Indoor/Outdoor. Just in case you want to make contact with this Pool before dropping by, we only know the phone number. 907 Beachview Drive , Saint Simons Island , GA , USA (Postal Code: 31522). Among all the activities provided by the center, for anyone who is interested in swimming you might enjoy An Endless Pools adjustable current pool, Outdoors. If you should contact this Pool, email address and phone number are both number. 2084 McGee Rd. , Snellville , GA , USA (Postal Code: 30078). Swimmers like you reported 25 yards, 5 lanes, Indoor/Outdoor. Unfortunately we do not have the e-mail address of this Swimming Pool, but we can provide you with the phone number.